Heritage Cruises introduces the first Vietnamese boutique cruise on the Red River and the Gulf of Tonkin. Our fleet of vessels combines classic elegance with comfort, showcasing the country’s history, art, cuisine and culture. Leonardo da Vinci’s quote captures Heritage Cruises’ vision and philosophy perfectly: the key principle behind every project is a devotion to simplicity, heritage, boutique and product authenticity. As a company, Heritage Cruises is pure, artful and elegant in offering special perspectives on the Red River and the Tonkin Gulf. Our welcome is personal, with only 20 suites, the accommodation sumptuous, and the views just gorgeous. Whether it is a cool scented towel upon arrival, thoughtfully laying out your slippers, dimming the lights and turning down your bed every evening, or creating last-minute magic to accommodate a special request, the staff at Heritage Cruises will surprise, delight, and amaze you with their ability to anticipate your needs, often before you realize them yourself. And yet it is the total experience − the unique impression derived from the cruise’s combination of quality, quintessence and ambiance in a spectacular location − that makes cruising on Heritage Cruises unforgettable. Explore, learn, respect, celebrate, enjoy! To deliver an experience to remember. 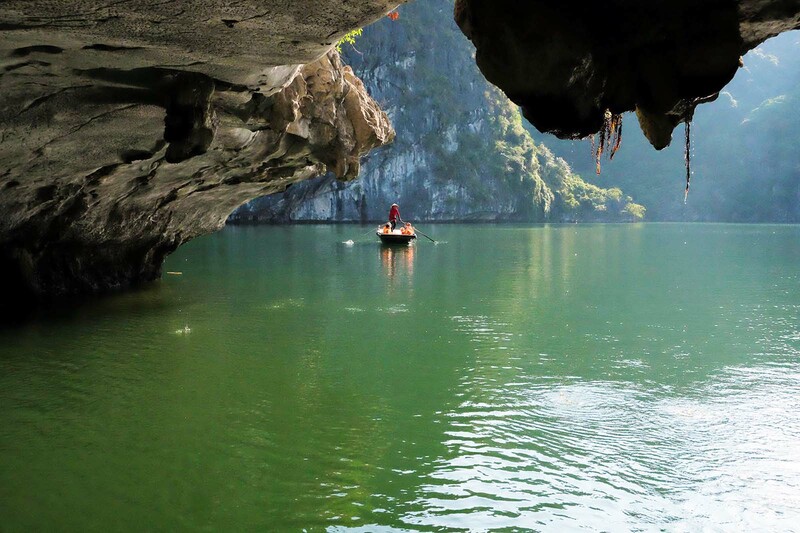 To cruise from the Highlands to Hanoi and Halong Bay on the Red River and its tributaries, along the coastline of Vietnam, on the Mekong River and to other Southeast Asia countries. At Heritage Cruises, we put our customers first in everything we do. To achieve this means building a cohesive team that always exceeds guest expectations. Education and continuous innovation are the lifeblood of Heritage Cruises, supporting each team member to achieve the highest standards. We build a team culture of respect, with individual differences welcomed so that each person can contribute their individual ideas and skills to the organisation. Heritage Cruises is a company that takes pride in its team’s honesty, dedication and friendship as it delivers peak professional performance in a dynamic work environment. We work together to achieve our goals and lead the boutique cruise industry in Vietnam and the region. We aim to create ongoing win/win partnerships with our suppliers, and through hard work create profits and growth for all. Creating memories – Heritage Cruises promises a memorable experience, with staff members committed to ensuring every moment on board is a special one. Life is all about moments. Decades of expertise – As the first heritage and boutique cruise company to cover both Halong Bay and Nha Trang, Heritage Cruises has had more than 20 years’ experience in the cruise and luxury tourism industry. Ultimate service – Every detail is taken into consideration. “No request is too large, no detail too small” is the credo of the Heritage Cruises staff, who go above and beyond to create an extraordinary experience for discerning guests. Heritage design – Each Heritage Cruises boutique cruise ship is a one-of-a-kind, exquisitely appointed heritage vessel, drawing on the arts, traditions and culture of the region, and as inspiring as the destinations you visit. Culinary experience – With menus designed by an Iron Chef, Heritage Cruises has crafted culinary treats for the most discerning of palettes. Sense of place – Heritage Cruises’ itineraries offer a sense of place. We design cruise itineraries that showcase the destination and include fun activities. As the experience is personalised, guests can choose how deeply they wish to immerse themselves in the activities on offer, or simply just relax. Goodbye stress – With perfect planning, Heritage Cruises create the ultimate stress-free, chic cruise experience that is just the perfect length as an add-on to an escorted tour of North Vietnam. And it is not just an experience: we create memories to last a lifetime. Our definition of a boutique cruise: Small is beautiful; boutique…c’est chic. Contemporary vibe and spirited guests to match. A boutique cruise is a destination of discovery in itself. The letter “H” is the perfect match for the new Heritage Cruises brand, standing for service from the heart and for happiness. The logo is simple, elegant and eye catching for high-end travelers. It incites curiosity and the desire to discover the culture, history and nature of the Red River, which originates in the mountains and empties into the ocean. Set inside a red circle, the white “H” is inspired by the costumes of the delta people of Xoan, whose traditional songs evoke life in Phu Tho Province. The four points of the logo icon address the four seasons in the northern region of Vietnam and the transformation of the universe. The white “H” in the red circle also refers to the alluvium of the Red River, as well as the element of water. The five elemental energies show tangible activities of yin and yang manifested in the cyclic changes of nature, regulating life on earth. It is also a reference to Hong Ha, one of the names of the Red River, with the color supposed to bring good luck. The larger Heritage logo is generous and elegant. The font is bold and central, standing strong and creating trust. Its dominant colors are red and gray. Heritage Cruises has designed its logo and icon carefully, ensuring it looks perfect at any size, and even in black and white. Vietnam’s first boutique cruise on the Red River, the cruise design, the logo, the brand and its slogan have been registered by the National Office of Intellectual Property of Vietnam. At Heritage Cruises we are committed to providing authentic cruising experiences for our sophisticated guests on a voyage of discovery from the highlands to Hanoi and the Gulf of Tonkin. The tagline “Creating Memories” perfectly matches the logo, and completes our heritage and boutique concept, delivering our core message to all travelers. As a teenager, Pham Ha, the co-founder of Heritage Cruises, cruised from Haiphong City to Ho Chi Minh City just a few years after the unification of South and North Vietnam. A dream come true. Even then he had plans to build his own cruise ships, to have his own fleet, so he could share his passion for his country. 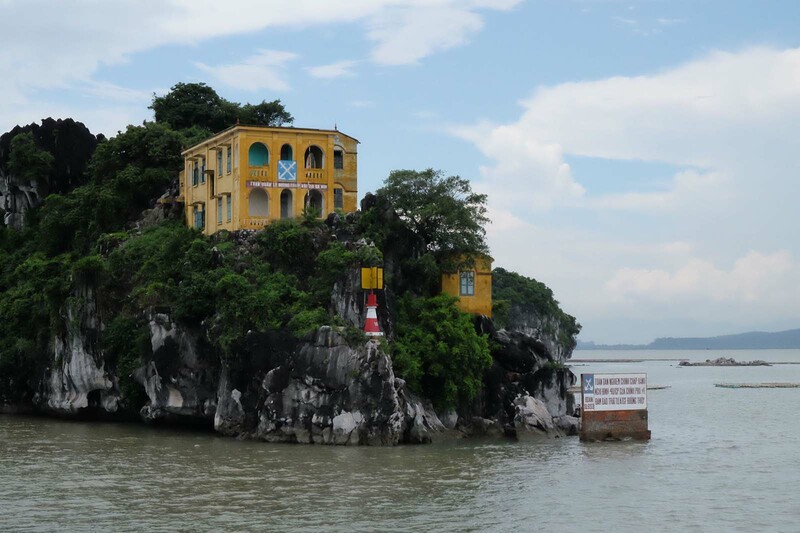 He fell in love at first sight with Halong Bay in 1995 and came to know every single island, sometimes spending a week camping on the isolated beaches and exploring remote islands by kayak. In 1997 he took a film crew there for 2 months to make the ‘Vertical Ray of the Sun’, a film by the famous director, Tran Anh Hung, which was filmed in Cua Van Floating Village, near Three Peach Beaches, on the frontier between Halong Bay and Cat Ba Archipelago. His personal mission is to deliver happiness. He is passionate about quality cruising, heritage, culture and history. Pham Ha is recognized internationally in the tourism business and knows the market well. As a result, he initially built a fleet of cruise ships in Nha Trang Bay and Bai Tu Long Bay. The building of a new fleet in the Cat Ba Archipelago, the Red River and in the future for longer trips from north to south Vietnam is a continuation of his childhood dream. Heritage Cruises derives the inspiration for its boutique concept and design from the heritage ships of the inspirational patriotic entrepreneur Bach Thai Buoi, who transformed transportation on the waterways in Tonkin in the North Vietnam in the early 20th century. Almost a century later your clients can embark on a voyage through time on a Heritage Cruises ship – a vessel inspired by heritage designs and with impeccable service fit for the bourgeoisie from the 1930s. “Simplicity is the ultimate sophistication.” Leonardo da Vinci’s quote captures Heritage Cruises’ vision and philosophy perfectly: the key principle behind every project is a devotion to simplicity, heritage, boutique and product authenticity. As a company, Heritage Cruises is pure, artful and elegant in offering special perspectives on the Red River and the Gulf of Tonkin. The welcome is personal, the accommodation sumptuous, and the views just gorgeous. And yet it is the total experience − the unique impression derived from the cruise’s combination of quality, quintessence and ambiance in a spectacular location − that makes the cruising experience on Heritage Cruises unforgettable. And all because of Pham Ha’s childhood dream. Our aim is to create a better place for people to live in and more beautiful places for people to visit. Responsible cruising is all about attitude, and the Heritage Cruise’s team is passionately committed to socially responsible travel through education, and by reducing our carbon footprint. Built using sustainable materials, new engines, the structure of the cruise ship is designed to maximize natural light and airflow, and to reduce the need for air conditioning. Absolutely no plastic bags, we provide reusable water bottles and reuse your towels and linen. Cruise with us to create a better bay for people to live in and a better place for travelers to visit. We save fresh water and organic waste is transferred to be recycled into biogas. With our responsible policies, we aim to keep the bay clean and healthy for future generations to enjoy. 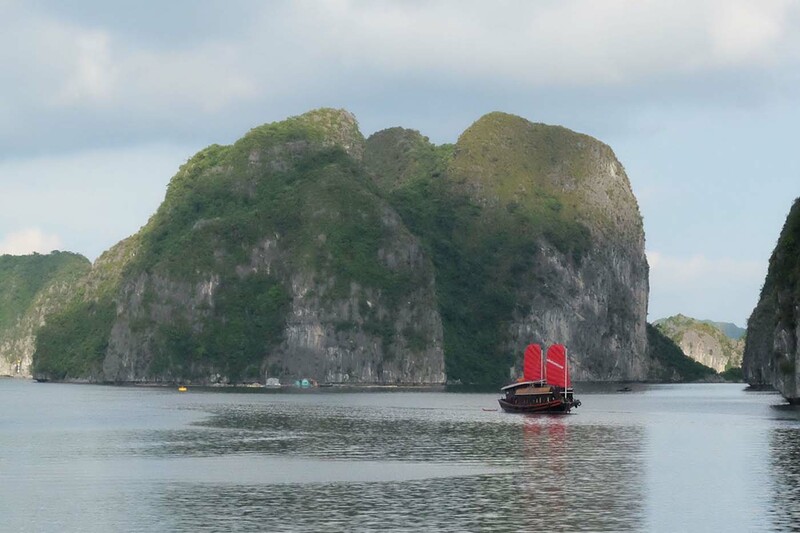 Heritage Cruises operates sustainably, creates jobs, employs local people, promotes local culture, heritage and products, supports a project to protect marine life in Cat Ba Archipelago, Bai Tu Long Bay and Halong Bay and heritage projects in the Red River Delta. At Heritage Cruises, our team collects rubbish daily when kayaking, and on the 5th of every month we clean all the trails used for trekking, together with the islands and beaches, so that guests can enjoy the pristine beaches and coves in our operating areas. We conserve and use the oceans and marine resources responsibly to ensure the sustainable management of the impact of tourism on the oceans. Du Thuyền Heritage được điều hành bởi công ty Cổ Phần Heritage Cruises, một thành viên của Tập Đoàn Lux, một tập đoàn du lịch và khách sạn hàng đầu Châu Á với hơn 20 năm kinh nghiệm. Theo dõi bản tin của chúng tôi để biết tin tức, cập nhật, giảm giá và ưu đãi độc quyền.